Pasta is great and delicious, but if trying to cut down on carb intake pasta is a nightmare. But there are ways to avoid carb overload while still enjoying the same pasta taste. 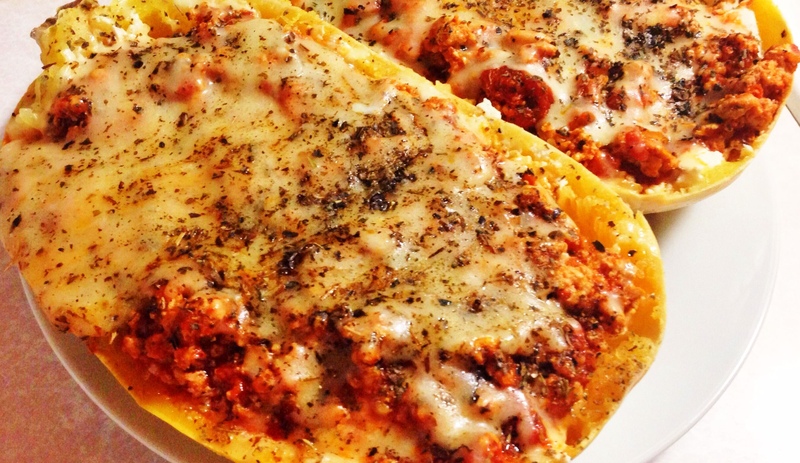 Spaghetti squash is a great substitute for pasta and it doubles as a nutritious vegetable. This recipe is great and packed full of protein and vitamins. 1. Preheat oven to 400°F. Cut the squashes in half and scoop out seeds. Lay them cut-side down in a roasting pan or other baking dish with about an inch of water. Roast for 45 to 60 minutes or until soft. 2. While the squash is roasting, warm the olive oil in a saucepan over medium-high heat. Stir in the garlic and cook for 30 seconds. Add the ground beef. Cook until well-browned. Stir in the crushed tomatoes and bring to a simmer. 3. Using a fork, shred the inside of the squash, leaving about a half-inch of squash left in the shell. Mix the shredded squash into the tomato sauce. In a separate bowl, mix together the ricotta cheese, the parsley and 1/2 teaspoon of salt. 4. Divide half of the ricotta mixture between the shells, using a spoon to spread the ricotta evenly over the bottom of the shells. Divide half the tomato sauce between the shells, spooning over top of the ricotta. Top with another layer of ricotta and tomato sauce. 5. Bake the shells for 15 minutes at 400°F. Sprinkle the mozzarella over the tops of the squashes and bake for another 15 to 20 minutes, until the cheese is bubbly and browned in spots. 6. Sprinkle parsley or basil over the tops and serve immediately.